14 reviews for "APOLLO EXTRACTS – Kali Mist – Sativa Shatter"
Really enjoy the taste of KALI MIST. I have been seriously impressed with the quality of Apollo products purchased so far. Great sativa for daytime use. Awesome pre workout strain. Amazing! Just great! great high and delicious flavour! You can never go wrong with Apollo shatters! This one is strong but uplifting, perfect for a wake n bake before work! Great flavor, kinda hard to describe but a great high. Again another great one on this site. Seems like all the stuff on here is really pure and clean. Gold Buds always comes through, shipping is the fastest and prices are the best. This strain is a great nighttime Sativa, it makes you aware of your surroundings. Go for a nighttime walk after using this. First time using GoldBuds, and let me tell you not only has the price got me hooked, the speed in which it came was amazing I cannot believe how fast I got my delivery. 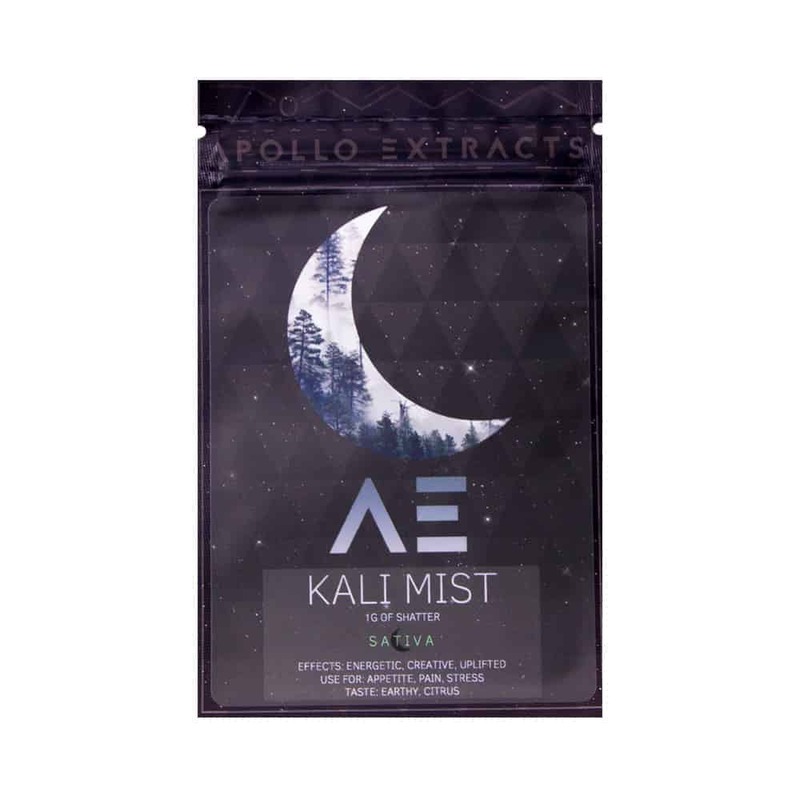 To top it all off “Apollo Extracts” Kali Mist was so good… the intake was sooo smooth giving that earthy citrus taste that I was looking for when I read the bag. Sooo smooth but potent at the same time. All I needed was 1 and done I was good to go, to start my day happy and energetic. I will buy more in the future. Kali Mist gives me lots of energy, really good.